This project helped me get a complete understanding of what pH is. This was a topic that I was interested in because of its real-world application for me as a chef. Though this presentation I designed I was able to dive in deeper than what we did in class, as a result I feel comfortable applying what I know to my career. Through doing this project I now know what a log rhythm is and a time I will use them in the real-world (for me). Also I have a much better understanding of pH, which is critical to pursue my interest in molecular gastronomy. I feel that this project has help me grow my skills in recoding a step by step process as it changes each time it is done. As young adults that are getting close to voting age, we need to be aware of the quality of all our rescues so that we can make informed decisions when new law and regulations are being proposed. Chemistry is the most applicable class to tackle this subject in because in the process of leaning we come across more scientific process than we do humanities issues. Teaching this in a chemistry setting gave me a chance to dive deeper and lean more about pH than I would have in other science classes. 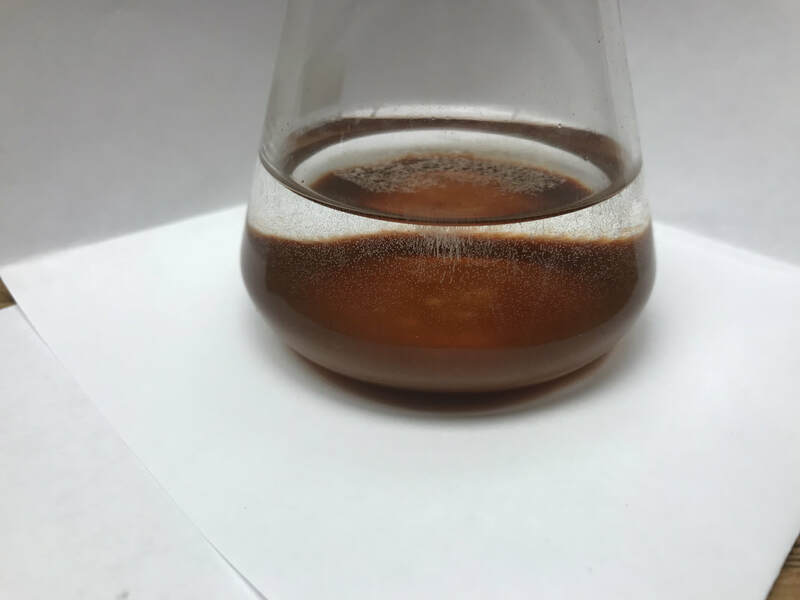 Iron Oxide precipitated out of Calcium hydroxide (Ca(OH)2) and Sulfuric acid (H2SO4 ). Right after ration. Iron Oxide precipitated out of Calcium hydroxide (Ca(OH)2) and Sulfuric acid (H2SO4 ). After it sat for 48 hours.